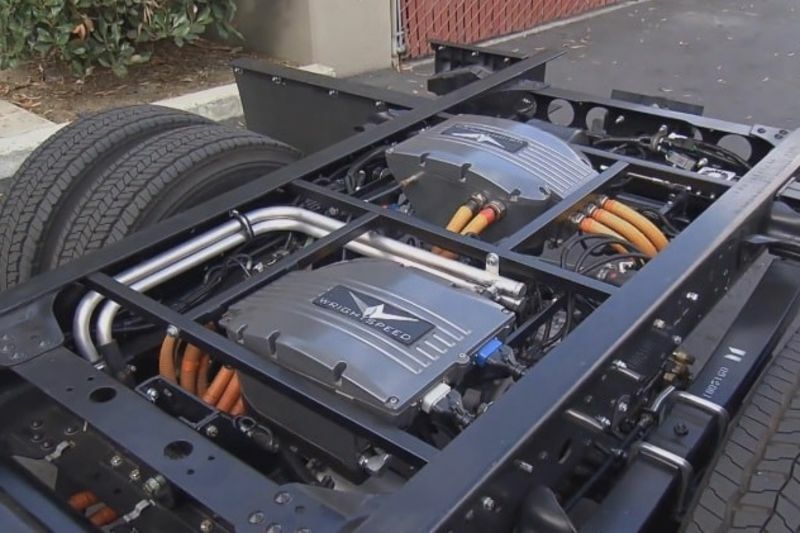 Motiv's All-Electric Powertrain uses an innovative architecture that is scalable and modular, which allows the company to use the same core components in vehicles ranging from a Type A school bus to a Class 8 refuse truck. The Motiv electric Powertrain Control System (ePCS) is unique in the industry as a single product suite that can electrify any truck or bus chassis with a variety of commercially available battery packs and motors. The Motiv ePCS battery packs and motors are installed to replace the engine and transmission of a new incomplete chassis such as the Ford E450 in a ship-through modification. The process, which is common in the truck industry, is similar to a Compressed Natural Gas ship-through modification and means minimal changes between the fossil fuel and electric versions of the final vehicle. Existing truck and bus drivers who already use these incomplete chassis can build and sell electric versions of their existing truck and bus models.